Hallowe’en – Not Just for Candy! 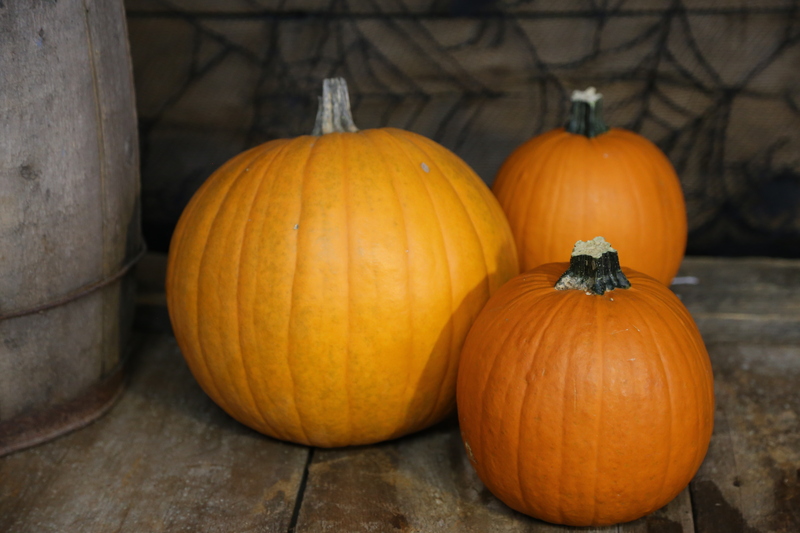 The smell of roasting pumpkin seeds, and singed pumpkin flesh from the candles in our jack o’lanterns can instantly bring back the anticipation of Hallowe’en night! Memories of Hallowe’en are full of sensation – the sticky, stringy feel of the pumpkin “guts” as we pulled them out of our pumpkin, struggling with the knife trying to do our best carving (and the inevitable cuts if you’re clumsy like me), the restrictive feel of the bulky layers of clothing under our costumes (I’m Canadian! ), and the cloying feel of the face paint that was often part of my disguise. Trick-or-treating with friends, and staying up late on school nights sorting out candy were things I looked forward to each year. And there was always homemade pumpkin pie to follow in a few days. And trust me, Mom’s pumpkin pie is definitely something to salivate over. 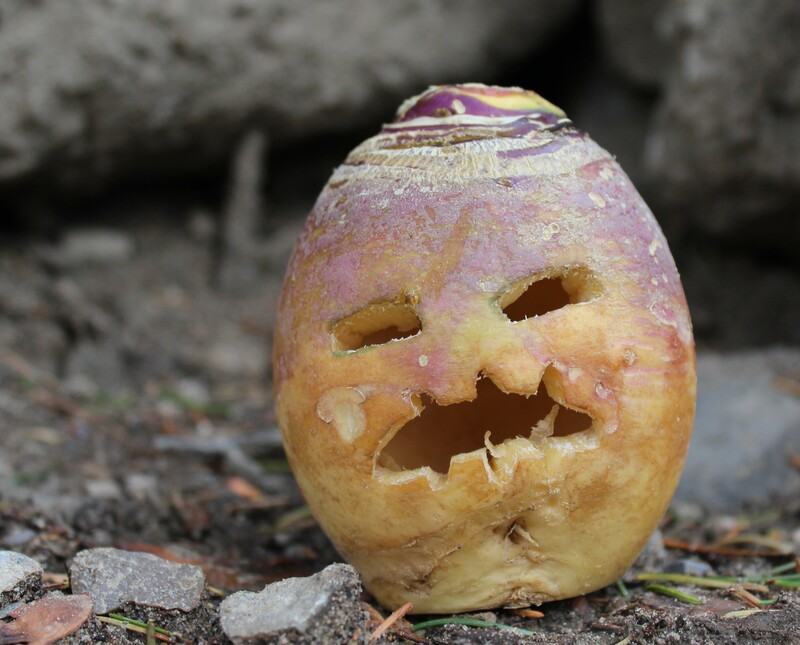 The practice of carving a jack o’lantern originated in Ireland, according to some sources. They used to carve turnips, beets, potato or rutabaga into scary faces, in order to scare off evil spirits – including the spirit of “Stingy Jack.” When this group of Europeans came to North America, they brought this tradition with them, but found the pumpkins grown here were much more suited to this purpose. 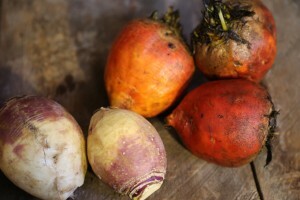 Anyone who has attempted to carve a raw turnip or rutabaga, knows first-hand how much easier a pumpkin is to work with! 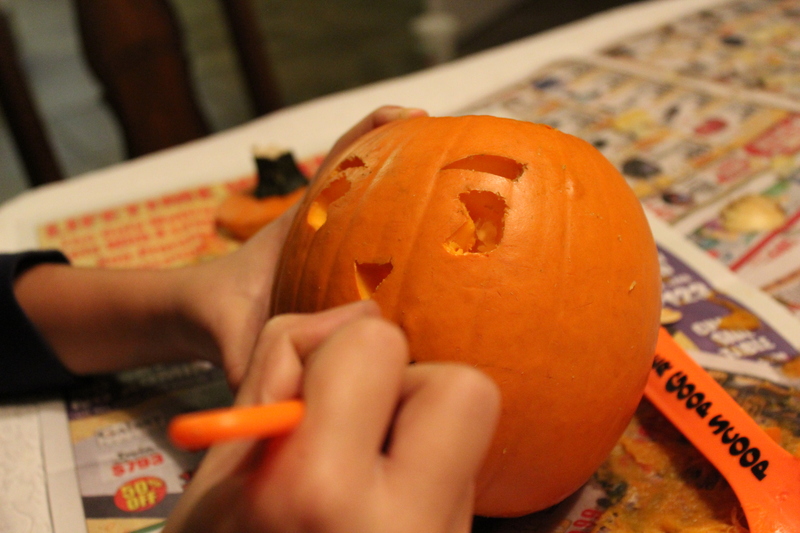 Pumpkin carving is still done today, but they are not always scary. 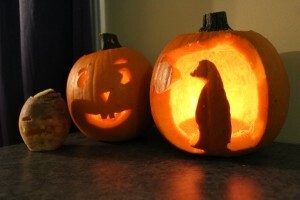 Some truly creative carving is done – the internet is full of images and ideas. Pumpkins, rutabaga, turnips, beets and potatoes – the history of Hallowe’en is just FULL of veggies! Who knew.